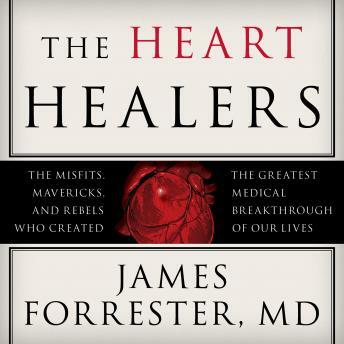 Written By: James Forrester, M.D. At one time, heart disease was a death sentence. By the middle of the twentieth century, it was killing millions and, as with the Black Death centuries before, physicians stood helpless. Visionaries, though, had begun to make strides earlier. On September 7, 1895, Ludwig Rehn successfully sutured the heart of a living man with a knife wound to the chest for the first time. In 1929, Dr. Werner Forssman inserted a cardiac catheter in his own arm and forced the X-ray technician on duty to take a photo as he successfully threaded it down the vein into his own heart . . . and lived. And on June 6, 1944-D-Day-another momentous event occurred far from the Normandy beaches: Dr. Dwight Harken sutured the shrapnel-injured heart of a young soldier and saved his life, and thus the term 'cardiac surgeon' was born.